Canada Beyond 150 was about experimenting with different approaches and tools. That meant accepting and even embracing the likelihood that some activities—whether organized by the program team or the participants themselves— would not go entirely smoothly. This test kitchen approach supported participants’ professional development by creating a low-risk environment to learn from experience. understood that they did not need to get everything right the first time, they became more confident. They reached out to external partners more easily; they were less afraid of criticism, and could use it productively when they heard it; and they were more comfortable experimenting with new or unfamiliar ideas. Perhaps most importantly, participants took personal risks—exploring skills such as public speaking, taking leadership roles, sharing artistic skills, and personal experiences that influenced their work. Future learning programs could draw on this experience, as could policy and program teams tasked with developing capacity and products that go beyond business as usual. The Canada Beyond 150 experience suggests that design thinking can be useful to policy development in at least two ways. First, it raises good questions: What do people want? How do they feel? How do they perceive the problem? What does a good solution look like? Second, design thinking can often help in the search for answers to these questions. 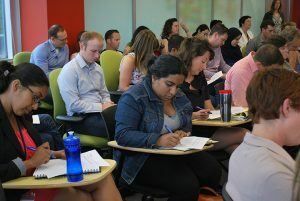 Canada Beyond 150 participants experimented with design thinking in their engagement strategies and presentations. 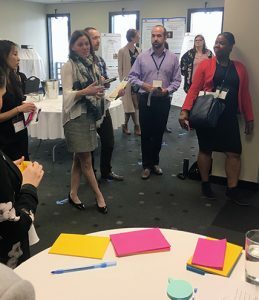 The Feminist Government team started co-creating earlier in the process than most teams, connected with stakeholders from across Canada, and sought to create an inclusive environment for hearing the views of underrepresented groups such as women of colour. The Reconciliation team augmented their conventional approaches to learning with experiential learning, including hearing from a residential school survivor at the National Centre for Truth and Reconciliation, and participating in a sweat. They also continually adapted both their work and their approach in response to what they heard. When a concern was raised midway through the program that the team’s work had been insufficiently grounded in Indigenous perspectives, they increased their outreach and adapted their methods. They invited members of the Indigenous Federal Employees Network to participate in all of the team’s subsequent workshops and meetings, and established an ongoing relationship with an Elder. The Elder helped them adapt their way of working together, incorporating Indigenous teachings and ceremony into meetings. She also helped the group understand how the tools that government uses for policy and programs may themselves embody colonial approaches. The participants’ final presentations showed that they had internalized design thinking. The teams created gallery-style experiences with interactive elements highlighting key parts of their process and findings to present to managers, partners and stakeholders. The Reconciliation team collaborated with Elders on a presentation that included ceremony and storytelling, and displayed a wall of quotes with a sample of what they had heard through engagement. The Feminist Government team’s gallery included a holographic video demonstrating how emerging technologies could support their policy proposal. 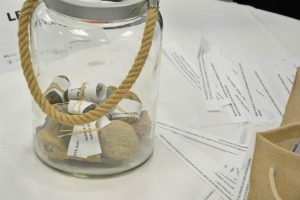 They also developed an activity in which visitors selected one quote from the team’s many engagement sessions for inclusion in a jar, and shared the difficulty in selecting a single focus among the many areas of a Feminist Government. Other interactive elements included a thematic game developed by the Sustainable Development Goals team, and persona cards, which the Future of Work team created to show how different demographics could experience the training and job search platform that they had proposed. The idea of engaging Canadians in policy making is not new. But there is a growing body of practice with innovative methods to make engagement more effective and meaningful. Engagement styles can be tailored to encourage diverse input and express respect for communities. Public servants can challenge themselves to reach out beyond the stakeholders with whom they are most comfortable. Government engagement can come early in the policy process, and can extend to co-creation of solutions. Partners and stakeholders were remarkably willing to support the work and development of Canada Beyond 150 participants. Hundreds of people from various regions of Canada and walks of life shared their time and thoughts with participants. Some of them engaged on the basis of their lived experience, rather than their work roles, and some had never previously engaged in this way with the federal government. Our partners and stakeholders were open to many activities, from leading a small group discussion at an Ideas Café or reflecting on draft foresight insights, to participating in a series of policy co-design workshops. “I was pleasantly surprised by the generosity and candour of the stakeholders I contacted. We had honest and profound discussions, sometimes on touchy subjects such as private companies’ responsibility to the environment—subjects that do not have widely accepted solutions. These discussion sessions were one of the most important things I learned from the program, and I quickly realized that collaboration is the key to the development of relevant, integrative policies. Meaningful engagement means being open to new ideas. In practice, it also requires a willingness to forgo being the expert and be prepared to have uncomfortable conversations. In the early part of the program, some participants and teams were reluctant to engage people outside the program, for fear of saying the wrong thing or being seen as not knowing enough about the topic. By the final meeting, discomfort was no longer a barrier to engagement. Instead, many teams identified these uncomfortable moments as key turning points. They often learned the most when they felt most uncomfortable listening to their stakeholders and partners. These encounters often put a human face on a public policy issue, and were crucial to further participants’ ideas and learning. While the program did not intend to turn participants into experts at foresight, design thinking and engagement, it was designed to teach them to apply the tools in their everyday jobs. They were also introduced to centres of expertise across government, such as Policy Horizons Canada, the Impact and Innovation Unit, the Policy Community Partnership Office, the Community of Federal Regulators, and the Public Engagement Community of Practice. Through a learn-as-you-go, immersive environment, Canada Beyond 150 built competencies and skills in a way that might not be accessible in traditional courses or learning modules. Participants will continue to share their learning with their colleagues. The Canada Beyond 150 experience suggests that there is still more to be done to the methods it explored with more conventional policy tools and processes. One participant group’s work explored how to reconcile the immediate priorities that stakeholders and partners identified in engagement sessions with the results of foresight activities. While many stakeholders were already thinking and planning for the future, some insights and scenarios saw strong resistance. Some stakeholders did not approve of plausible future states. This is understandable, as some scenarios involved the displacement of their careers by automation. In other cases, scenarios suggested possible changes that were out of line with stakeholders’ objectives or vision of the future. Other stakeholders resisted focusing on insights about the future for other reasons. They noted the backlog of tasks to address present human suffering—a list of existing barriers that need to be lifted so that all Canadians can benefit and participate equally. In the face of pressing problems, thinking 15 years or further ahead can seem insensitive, or even a way of avoiding hard truths in the present. government’s partners and stakeholders in various contexts. During Canada Beyond 150, the addition of a workshop on Theory of Change facilitated the transition to policy development. Having all the participants familiar with the same tool helped many teams have more structured and productive discussions on policy challenges and interventions. Teaching a standard policy tool also increased support for some Canada Beyond 150 participants whose jobs relate to government operations rather than policy. These participants were in a good position to assess how various policies might look in practice and how client or user sensitivities might surface. The Canada Beyond 150 experience raises the question of how government could make room for operational perspectives in the policy process more generally. Offering these officials practical training in the language and tools used to make policy, and opening up the policy process within departments and portfolios could help in this. 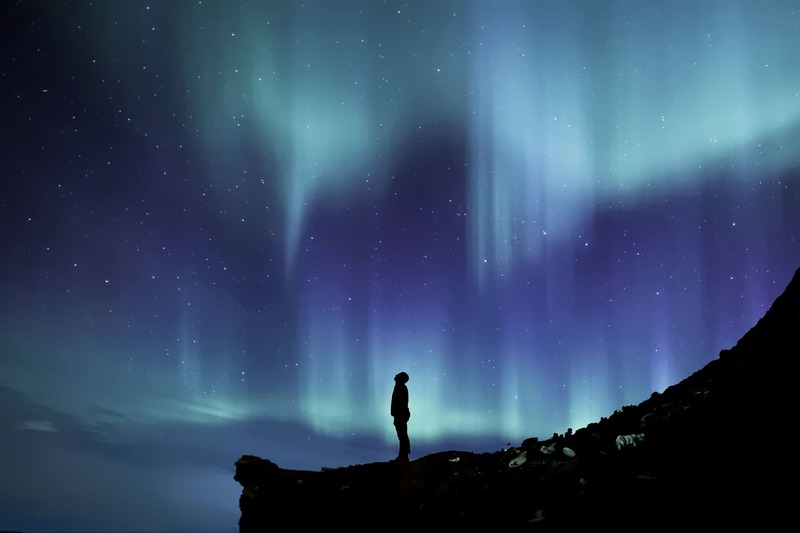 The experience was a reminder that working with innovative techniques does not remove the need for a solid foundation in standard policy tools. It was also a reminder of the ongoing relevance of training in policy fundamentals.